WHAT MAC SAYS: An aqua-spritz of vitamin and minerals, infused with a calm-the-skin blend of green tea, chamomile, cucumber, topped off with the fresh, natural, energizing scent of Sugi. Adds radiance, finishes makeup. Spray it on. Skin drinks it up! I've had this for a very long time. The hype was too much at the time so I gave in and got it. I have very oily skin and back then anything that could make my foundation last longer was a must have. It didn't take me long to discover that this was a finishing spray, lol. This did not help my makeup last in any way!! So please do not spray this on your face thinking that it would make your makeup last longer. I only use this on my face when I feel that the foundation I've applied is too matifying. I like matte foundations oh but please I do not like looking like a ghost. When I do this, it gives the foundation a more natural finish and prevents it from looking cakey. I spray a little on my powder brush when I want to get full coverage from a powder or powder foundation. I spray it on my eyeshadow brush when I want the colour I'm applying to appear more vibrant. It makes the brush damp and helps the colour stick more to it. I do this mostly with loose eyeshadow or pigment. I also use this on my gel products that have dried up or are about to dry up. I spray just a tiny bit on what ever it is and we are good to go. Where to buy: Mac store, Ikeja city mall. How do you use your Fix + ? 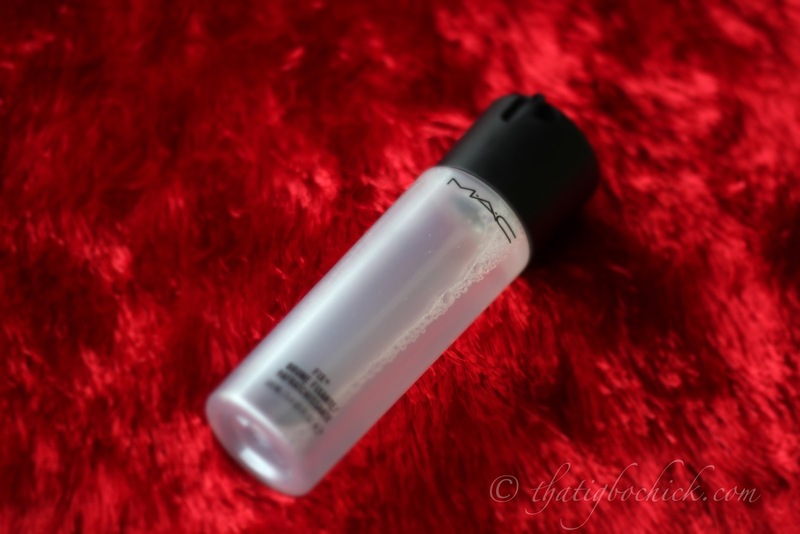 I've asked a MAC MUA about this product cause I also thought it was supposed to make your makeup last longer, but she said that it wasn't used for that. You can spritz it before or after your makeup application so you have that powdery texture that we sometimes get after setting our makeup to make us look dewy and radiant.